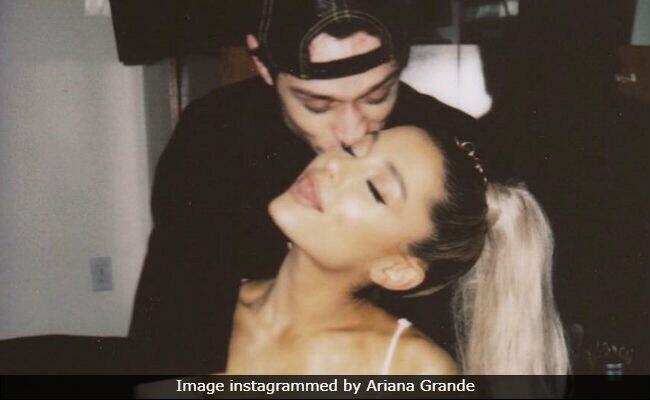 As Saturday Night Live returned from a brief hiatus, pop culture fans had one question: Would the show directly address the public breakup between Pete Davidson and Ariana Grande? The pair's whirlwind romance, after all, was one of the summer's hottest stories for anyone wanting to step away from politics. Fans were obsessed with following every detail of their courtship, from their matching tattoos to the song she wrote about him to the baby pig they adopted. Naturally, when they called off their engagement, those same fans stared on, eating up every detail. But one question remained: Would SNL tackle the breakup? This season's premiere, after all, was fairly obsessed with the couple. Davidson appeared on the Weekend Update segment and described the relationship to co-hosts Colin Jost and Michael Che: "Do you remember when that whole city pretended that kid was Batman because he was, like, sick? That's what this feels like." On top of that, the promos for Saturday's episode seemed to address the speed with which Davidson and Grande got engaged. In the short ad, Davidson turns to musical guest Maggie Rogers and says, "Hey Maggie, I'm Pete. Do you wanna get married?" Davidson appeared on Weekend Update to give his impressions on various politicians running for office. The first reference to Grande was an oblique one. Davidson said that he's been paying more attention to politics ever since "I had to move back in with my mom." He and Grande had moved into a $16 million apartment together. Throughout the segment, he made jokes about various politician's appearances - such as saying that Rep. Peter King, R-N.Y., looks like "if a cigar came to life" - and didn't mention Grande until the very end of his appearance. But instead of making jokes, he simply wished his ex the best. "The last thing I will say is I know some of you are curious about the breakup, but the truth is it's nobody's business," he said, adding, "Sometimes things just don't work out, and that's OK. She's a wonderful, strong person, and I genuinely wish her all the happiness in the world." That the show didn't do more with the breakup was somewhat surprising, sure, but the real surprise was that Grande dropped a new song just minutes before SNL started - and it mentions Davidson by name. The song is titled, Thank u, next, and Grande thanks her exes throughout it, saying what they taught her or what they meant to her. About Davidson, she sings Even almost got married / And for Pete I'm so thankful. She also mentions her ex Mac Miller, a rapper who died earlier this year at 26, with the lines, Wish I could say thank you to Malcolm / Cause he was an angel. Later in the song, she sings One taught me love / One taught me patience / And one taught me pain / Now I'm so amazing. It's unclear to whom each line refers. If there's any takeaway from Saturday, it's that the Davidson/Grande story might have finally played itself out. The two seem to be on amicable terms, and - with these two statements in the world - moving on. It seems like they're telling the rest of the world to join them.